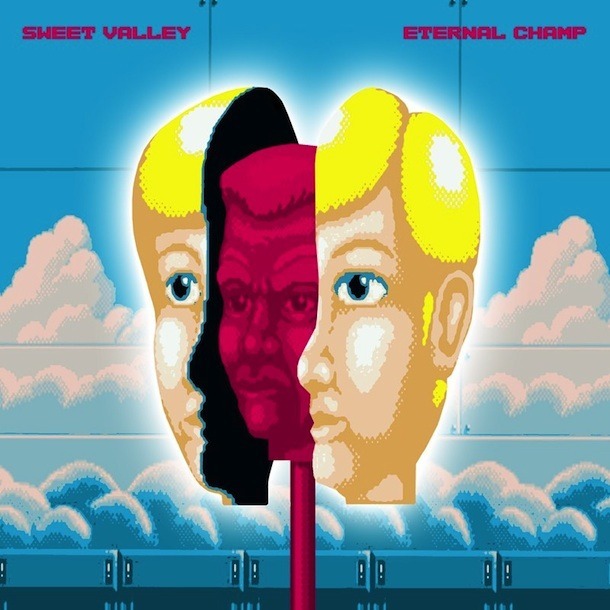 Sweet Valley released a mixtape, Eternal Champ, on Monday. The new Nathan Williams side project features him with his brother and collaborator Kynan Williams making hazed out hip hop instrumentals laden with pop culture references. The mixtape is a series of relaxed, fun, but mostly unmemorable tracks. Despite this, the duo managed to book a tour with GZA and Killer Mike. Oh, to be Nathan Williams. In its more palatable moments, such as the track “Golden Gauntlets,” Eternal Champ is anchored in a re-visioning of video game sounds– of which there are many. Ultimately, however, the samples on Eternal Champ get too audacious and their prominence ends up detracting from the music. Each new Zelda or Sonic reference mixed with re-recycled samples reveals a weakness: the blandness of the tracks without the pop culture crutch. Songs like “Motorcycle Renegade” end up failing due to their pure disregard for the samples they bite and butcher. It suggests that while Eternal Champ isn’t a bad idea, its execution is simply average and often lacks ingenuity.